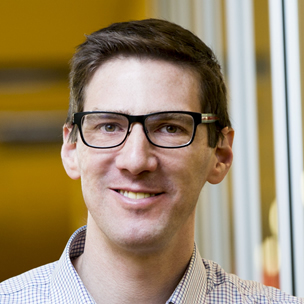 Jason Steffener’s research focuses on understanding how neuroplastic changes in brain activity maintain cognitive performance despite changes in brain structure and blood flow resulting from normal aging, disease or injury. Furthermore, he studies how individual differences and lifetime exposures, e.g. education and physical activity, facilitate the adaptability of the brain. This research uses neuroimaging assessments of task-related functional brain activation, brain structure and cerebrovasculature. Neural, cognitive, behavioral and demographic measures are integrated into a unified research model which is tested using mathematical models and moderated-mediation path analyses. Univariate, multivariate and permutation statistical analyses are conducted using high performance grid computing approaches with in-house developed software. Professor Steffener’s Ph.D. focused on signal processing with a dissertation on olfactory processing in the brain using MRI. He completed a postdoctoral fellowship in cognitive aging under the mentorship of Dr. Yaakov Stern at Columbia University Medical Center (CUMC) in NYC, NY USA. He stayed at CUMC as an assistant professor before coming to Concordia University in Montreal and then to the University of Ottawa. Steffener J, Habeck C, O’Shea D, Razlighi Q, Bherer L, Stern Y. Differences between chronological and brain age are related to education and self-reported physical activity. Neurobiol Aging. 2016;40:138-144. Steffener J, Gazes Y, Habeck C, Stern Y. The Indirect Effect of Age Group on Switch Costs via Gray Matter Volume and Task-Related Brain Activity. Front Aging Neurosci. 2016;8. doi:10.3389/fnagi.2016.00162. Steffener J, Barulli D, Habeck C, O’Shea D, Razlighi Q, Stern Y. The role of education and verbal abilities in altering the effect of age-related gray matter differences on cognition. PLoS One. 2014;9(3):e91196. Steffener J, Barulli D, Habeck C, Stern Y. Neuroimaging explanations of age-related differences in task performance. Front Aging Neurosci. 2014;6:46. Steffener J, Brickman AM, Habeck CG, Salthouse TA, Stern Y. Cerebral blood flow and gray matter volume covariance patterns of cognition in aging. Hum Brain Mapp. 2013;34(12):3267-3279. Steffener J, Habeck CG, Stern Y. Age-related changes in task related functional network connectivity. PLoS One. 2012;7(9):e44421. Steffener J, Reuben A, Rakitin BC, Stern Y. Supporting performance in the face of age-related neural changes: testing mechanistic roles of cognitive reserve. Brain Imaging Behav. 2011;5(3):212-221. Steffener J, Stern Y. Exploring the neural basis of cognitive reserve in aging. Biochim Biophys Acta. 2012;1822(3):467-473. Steffener J, Tabert M, Reuben A, Stern Y. Investigating hemodynamic response variability at the group level using basis functions. Neuroimage. 2010;49(3):2113-2122. Steffener J, Brickman AM, Rakitin BC, Gazes Y, Stern Y. The impact of age-related changes on working memory functional activity. Brain Imaging Behav. 2009;3(2):142-153.